Unibright, the German-registered company offering a new approach to smart contracts adoption on the mass market, sparked interest of Lufthansa, Microsoft, and NEM. A little more than three months after its successful ICO, the up-and-coming project describing itself as a “unified framework for blockchain based business integration”, signs partnerships and sets up blockchain events with tech giants. Being a team of developers with 20+ years of experience in business integration, Unibright seems to know how to bridge different industries utilizing the blockchain technology. 99% of all existing IT systems within enterprises don’t use or connect to any blockchain yet. 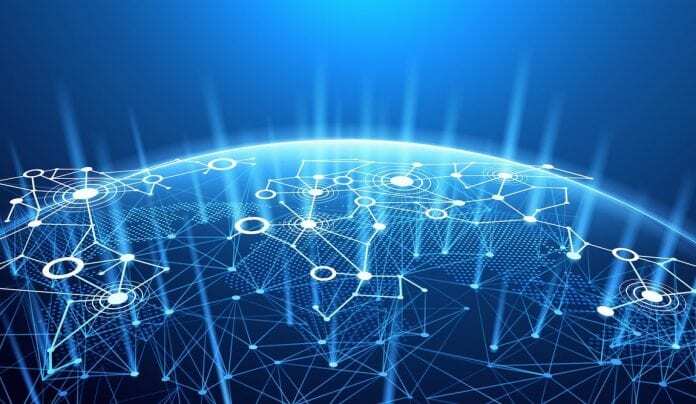 Unibright wants to change that, offering outstanding features of its Framework which reflect the overall challenges for companies to adapt to blockchain. Errors in smart contracts have far-reaching consequences, so they are much more complex to fix as opposed to traditional programming in centralized systems. Most of the developers are expensive and specialized in one specific protocol that may not matter tomorrow anymore. If you change the protocol you have to find a new developer, so companies don’t want to back the wrong horse. Companies don’t want to change their already existing IT system landscape, just because of blockchain. But the best blockchain implementation does not help if it is not perfectly integrated into off-chain systems. With every new system or technology involved in a company’s processes, it is getting more complicated to keep track of all data and information. From a process point of view, it is not so interesting where the data initially comes from, but rather what it means for the ongoing process. Therefore, a unifying monitoring approach is needed to drive business intelligence within a company. „Nowadays most companies have a strong interest in Blockchain technology, but struggle to use it. That is why we created the Unibright framework. It’s an easy-to-use, non-techie approach for companies to integrate state-of-the-art blockchain technology into existing business and IT system landscapes,“ Marten Jung, CEO from UNIBRIGHT states. Based on different use cases, the Unibright’s Framework provides customizable templates to design individual business integration workflows visually. All necessary objects are then generated automatically by the framework: Smart Contracts for different blockchain implementations; Smart Adapters to connect with other on- and off-chain systems; Smart Queries to monitor the ongoing integration process in realtime. To bridge these different businesses, Unibright co-hosts public events with its partners: Microsoft (May 2018), consulting companies like Zühlke (June 2018) or world players like Lufthansa (July 2018). On top, an active partnering with high-quality blockchain protocols (like NEM in August 2018) supports the success chances of all participants. Lufthansa, the biggest European airline, supported Unibright‘s “Hackathon without a single line of code” at Pillar Unconference 2018 in Vilnius, Lithuania. Based on different templates, participants worked on visual definitions for a real life use case. “We like the “non-coding” approach of Unibright. We often see Blockchain only used as a buzzword, but prefer to make real use of it,“ Dr. Jörg Liebe from Lufthansa, Senior Director Digital Innovations Hub Airlines and Airline Products, stated. Besides, the partnership with Microsoft Germany led to a common two day hackathon in Microsoft headquarter in Munich. Unibright Hyperledger and Solidity specialists helped more than 50 participants to set alive their first smart contracts. According to the latest news, Unibright is now teaming up with NEM, an enterprise-grade blockchain platform, by adding NEM oriented code generation to the Unibright framework and working together on common customer projects. At the same time, the crypto media reported that since August 14, the project’s tokens have been traded on QRYPTOS exchange with rewards for those interested in the currency side of things and want to be part of this promising ecosystem.